John J. Montgomery is fortunate to have the support of a caring and involved community of parents, students and staff. Here are some of the charitable activities organized by community members throughout the year. Check the homepage for details of each activity as it takes place and take advantage of these opportunities to "give back". Each year the Montgomery community is proud to support the Second Harvest Food Bank, whose mission is to provide food for people in need in our community. In December of every year, Montgomery brings in several Second Harvest Food Bank barrels which are placed throughout the school for families and students to place canned food donations. Watch the school website for participation dates. 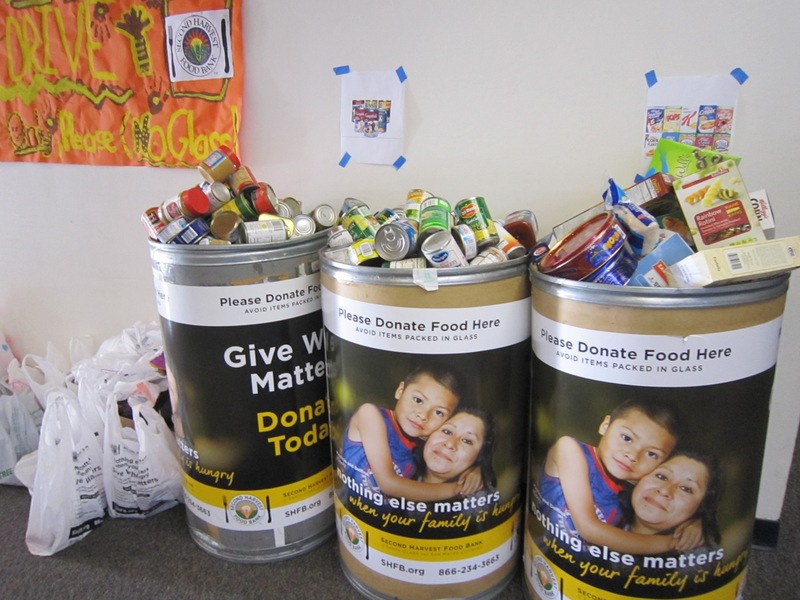 Second Harvest Food Bank of Santa Clara and San Mateo Counties is the trusted leader dedicated to ending local hunger. Since its inception in 1974, Second Harvest has become one of the largest food banks in the nation, providing food to an average of nearly one quarter of a million people each month. Nearly half of the food distributed is fresh produce. Second Harvest also plays a leading role in promoting federal nutrition programs and educating families on how to make healthier food choices. Our Student Council teams up with the U.S. Marine Corps to help collect toys and gifts for less fortunate children in our community each holiday season.